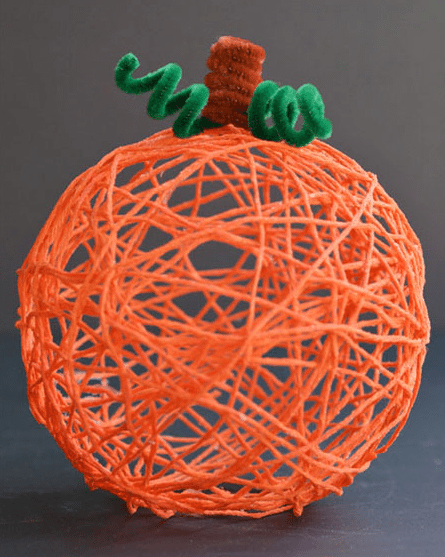 Warm up that hot glue gun and get going! 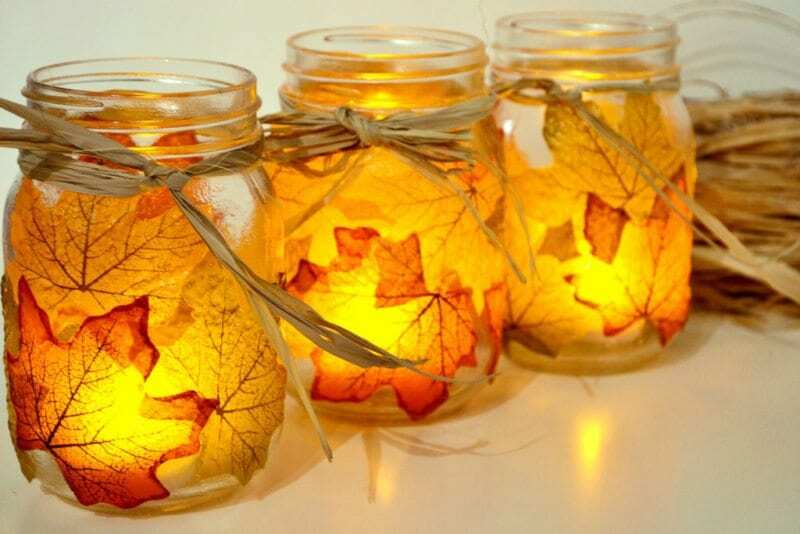 Thanksgiving is the perfect season to bring the warm glowing colors of autumn inside. 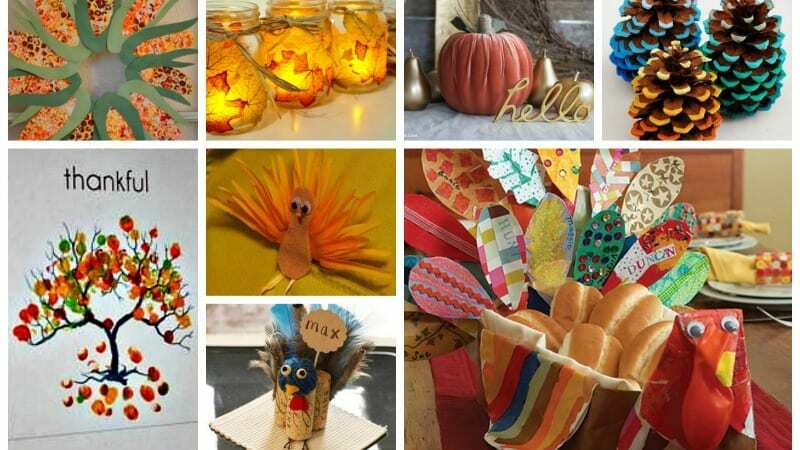 These 18 kid-friendly DIY Thanksgiving crafts and art projects can be made in the classroom—during art class or as stations at your fall party. Or you can make them at home with your own family—think Thanksgiving morning, to distract hungry tummies from all the delicious smells and keep the “is it ready yet?”s to a minimum. So do just a bit of pre-planning, gather your materials, and craft away! 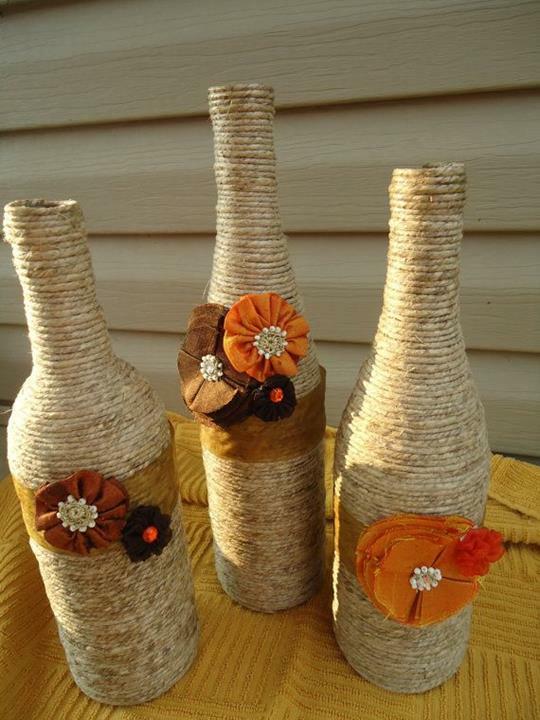 These beautiful bottles are easy to create using leftover wine bottles, twine, hot glue and fabric flowers. Glue colorful buttons onto popsicle sticks. Then hot glue the popsicle sticks to a sheet of cardstock, leaving enough at one end to overlap. Glue into a circular shape. Velvet pumpkins of various sizes are all the rage these days. 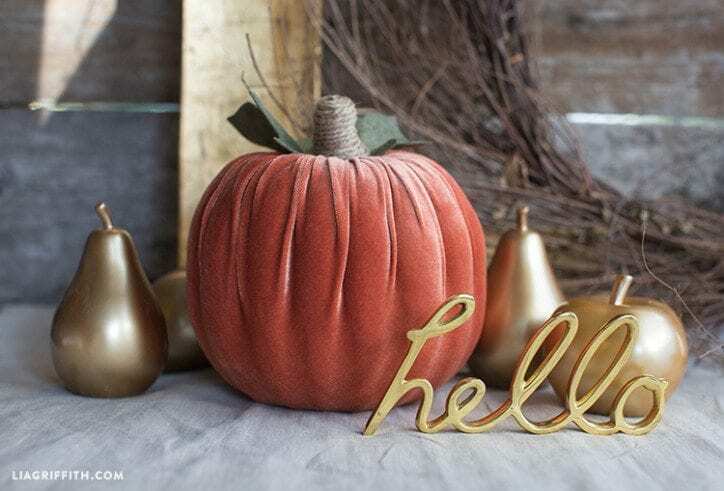 Create these beauties with stretch velvet, a foam pumpkin form, twine and felt. Hard to believe this whimsical wreath was created using bubble wrap! See the full directions in the link below. 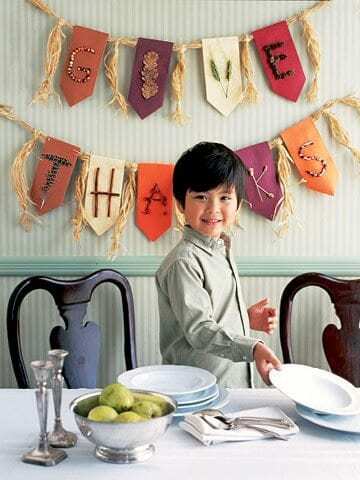 This seasonal banner lends the perfect touch to your Thanksgiving decor. Go on a nature walk to find all the natural elements that form each letter. 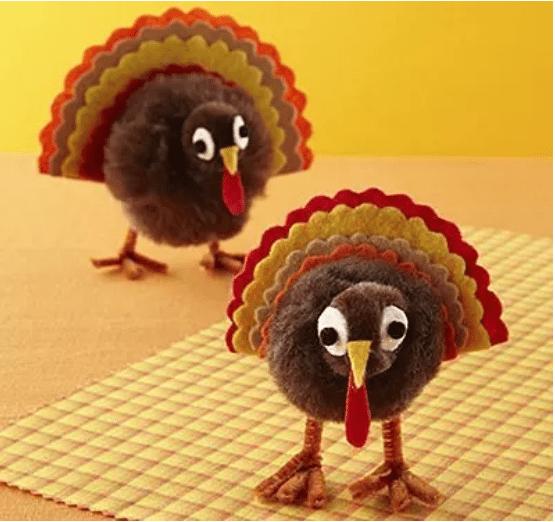 These little turkeys are so adorable, they may not sit on the table as place card holders for long. 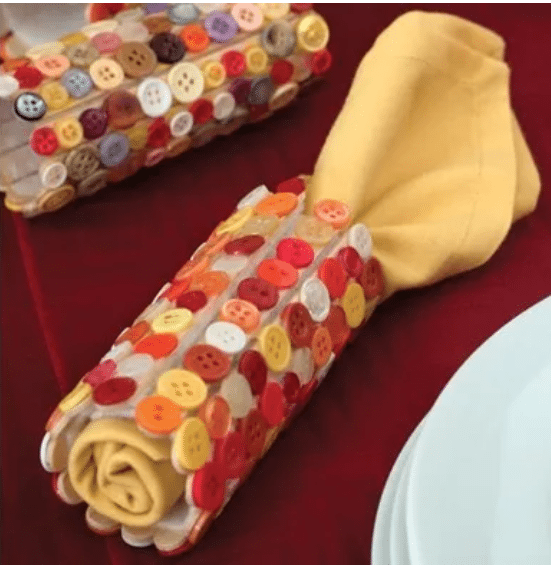 Felt, burlap, and a few simple stitches are all it takes to create these colorful napkin rings. 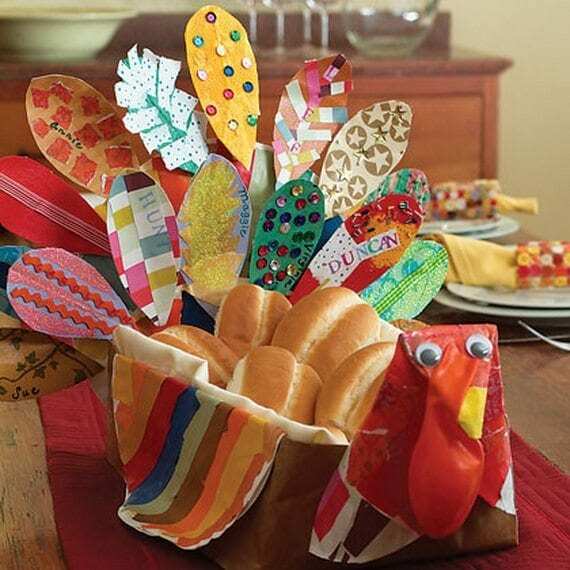 Sure to make everyone at your table smile, this handmade bread basket can be a group project, with each person at your table contributing an original feather. 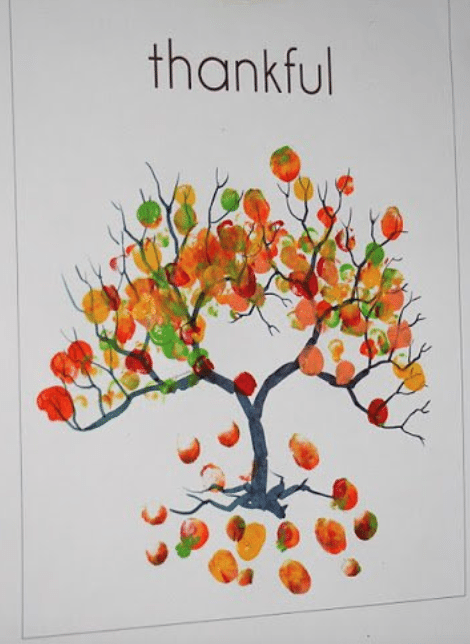 What a sweet way to think about all the things we are grateful for. All it takes is orange and green construction paper, staples and a Sharpie. 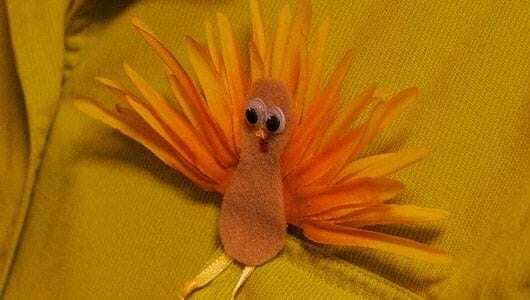 What parent or grandparent could resist a handmade gift like this adorable turkey pin? Wear it with pride as you celebrate turkey day. 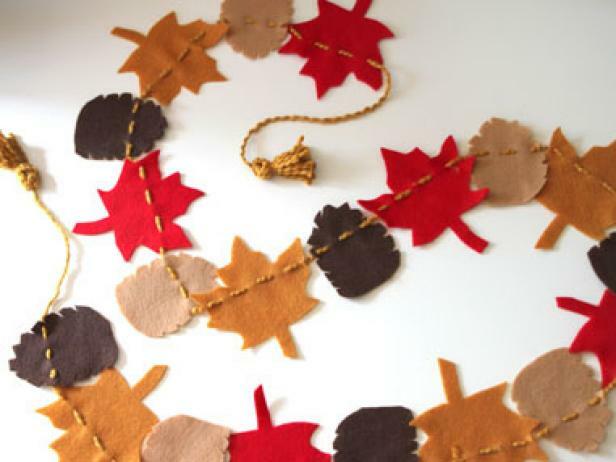 Another simple sewing project, even little hands (with a little guidance) can stick this lovely garland together. 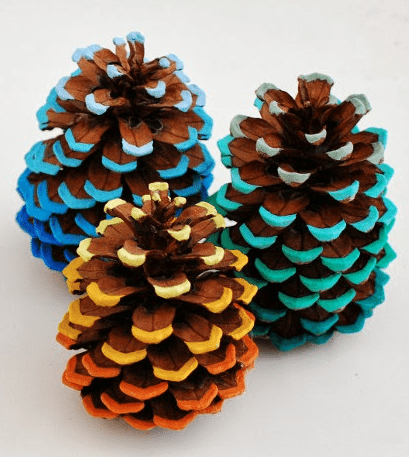 Create a rainbow of ombre pinecones to decorate your mantle or sideboard with. 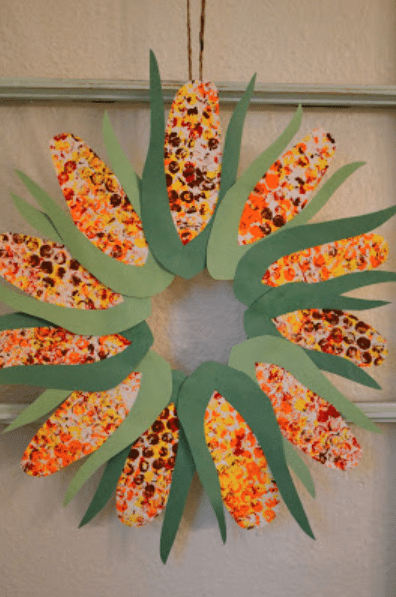 Kids will be fascinated with the artistic process involved in this craft. And the results speak for themselves! 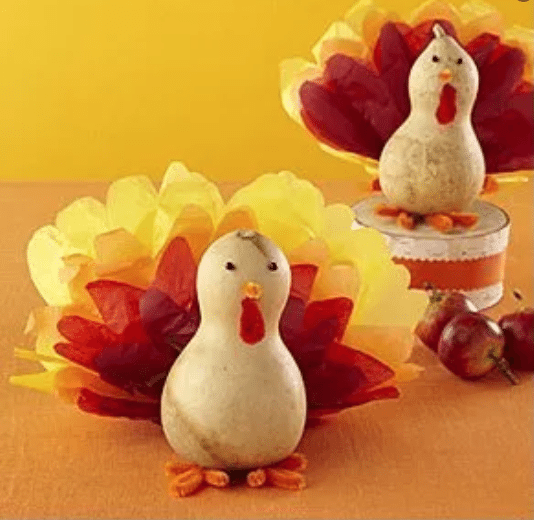 Who wouldn’t want these cute little guys on their Thanksgiving table as a centerpiece? Gorgeous, luminous, and easy to make. 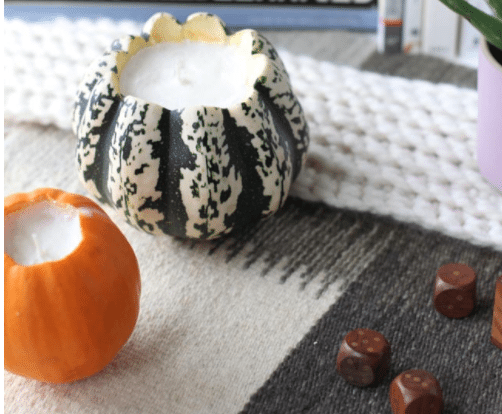 Made from all natural materials, these seasonal candles are a perfect gift for parents, teachers, or friends. 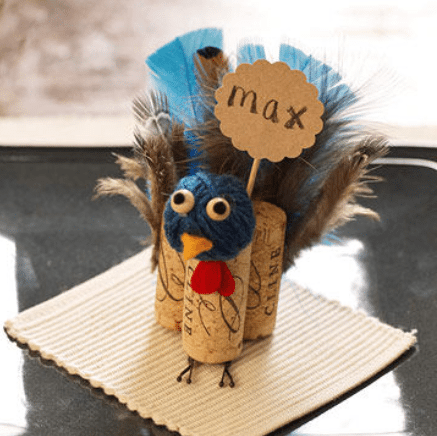 These cute little gobblers take a little bit of fine motor coordination to make, so they would be a perfect fit for a buddy or parent-child activity. 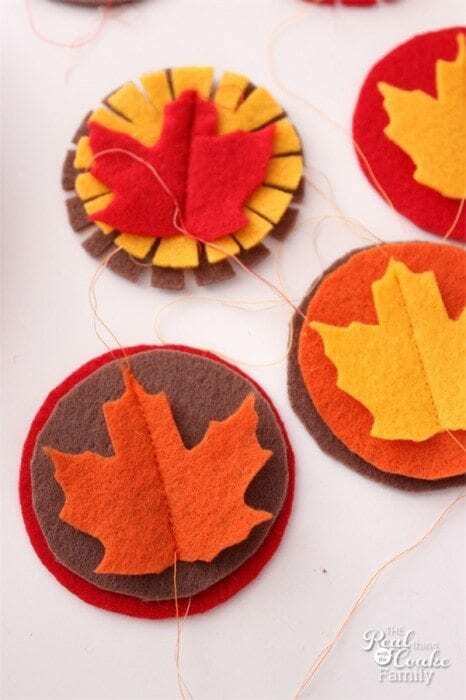 Here’s a craft that, much like the beloved classic, the hand turkey, marks a moment in time with little ones’ tiny fingerprints. 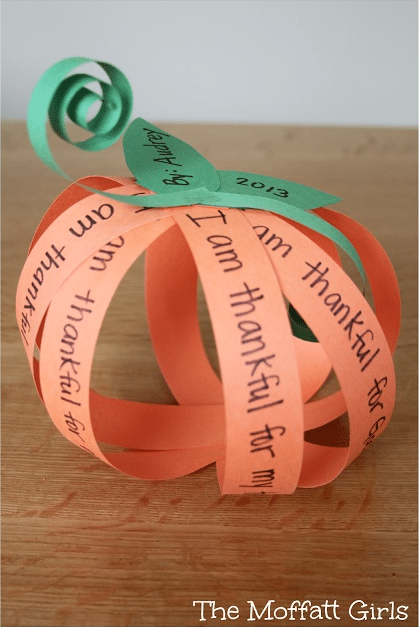 Do you have favorite DIY Thanksgiving crafts? Share in the comments below.